Can I See Your ID, Please? Mysteries at Salt Marsh Holiday Gathering. 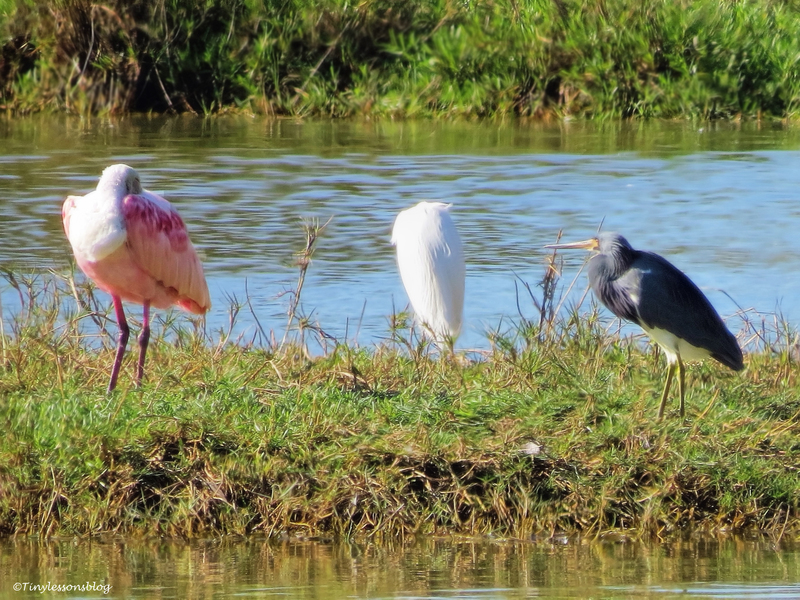 Yesterday afternoon I finally got to visit our feathered friends at the salt marsh. And walked right into a Holiday gathering! Or more precisely, to the nap sequence of the party. 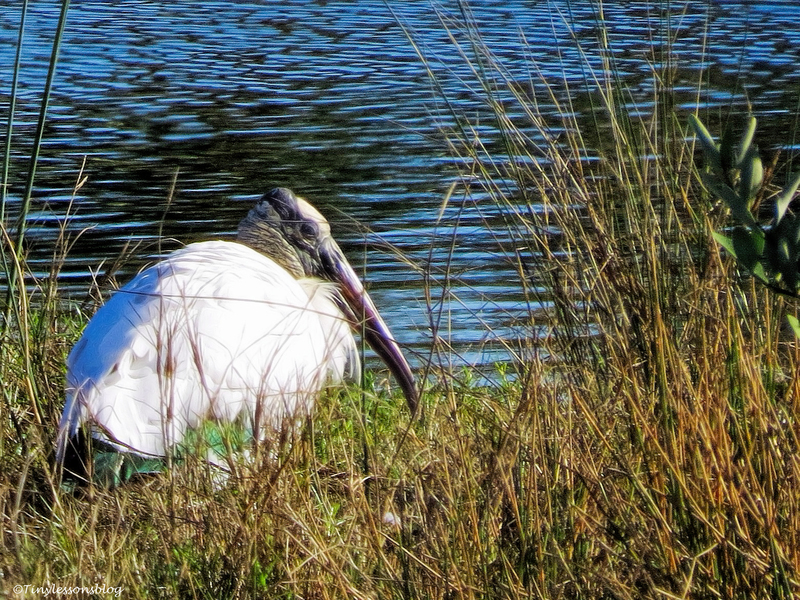 You see, in the avian world napping after a festive meal is allowed, even encouraged. It is totally okay for the guests to doze off for a while. No eyebrows raised. Even Mama Sandy was nodding off at the nest with a half eaten fish in her talons. Some of the birds soon woke up, maybe sensing a paparazzo lurking around in the bushes. 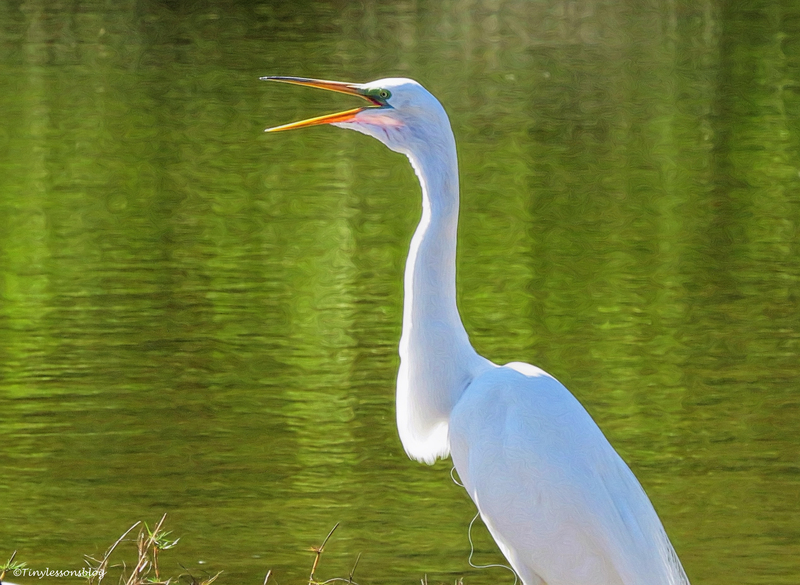 Or to listen to the Great Egret’s Christmas address on peace for humanity. He didn’t need any loudspeakers delivering his compassionate message. 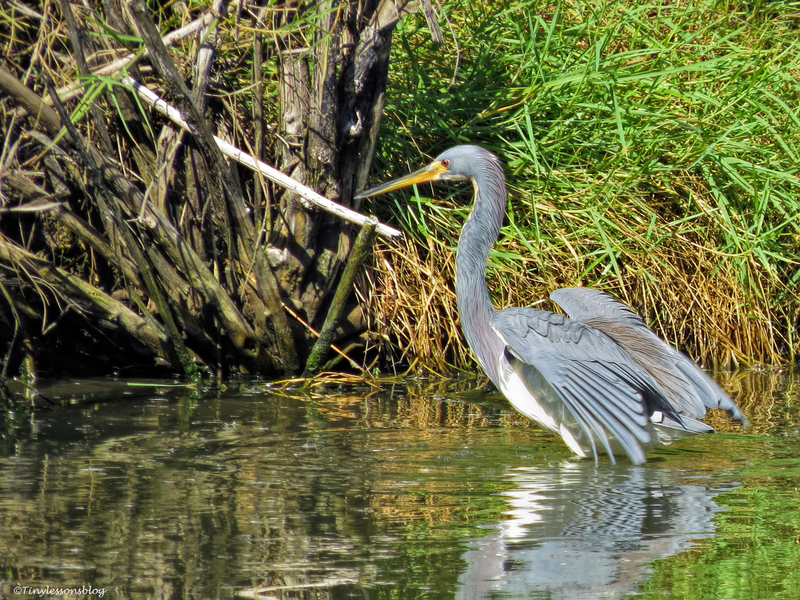 I guess he was acting for the older Blue Heron, the Mayor, who was absent. Maybe visiting relatives for the Holidays. Rosa opened one eye to check on me. And Sandy woke up to attend to her fish, and to say hi. 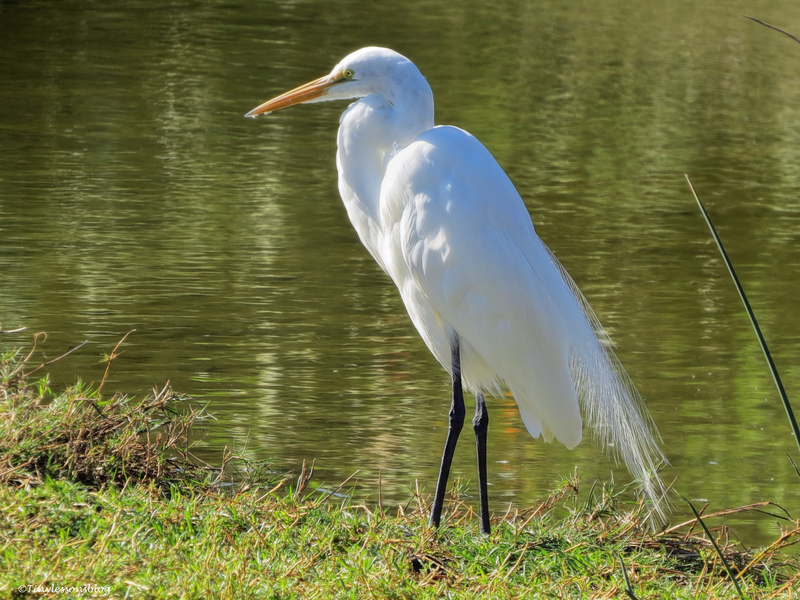 While large families of Wood Storks, egrets, and herons gathered in the west wing of the marsh, the waters of the east wing were reserved for the duckies. 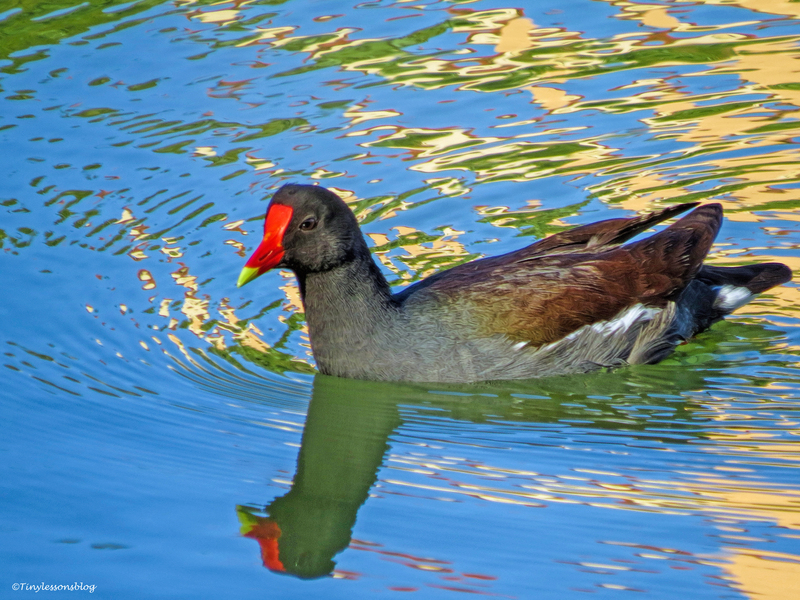 The young Muscovy Duck, in his holiday outfit, was mingling with his friends, the Moorhens. 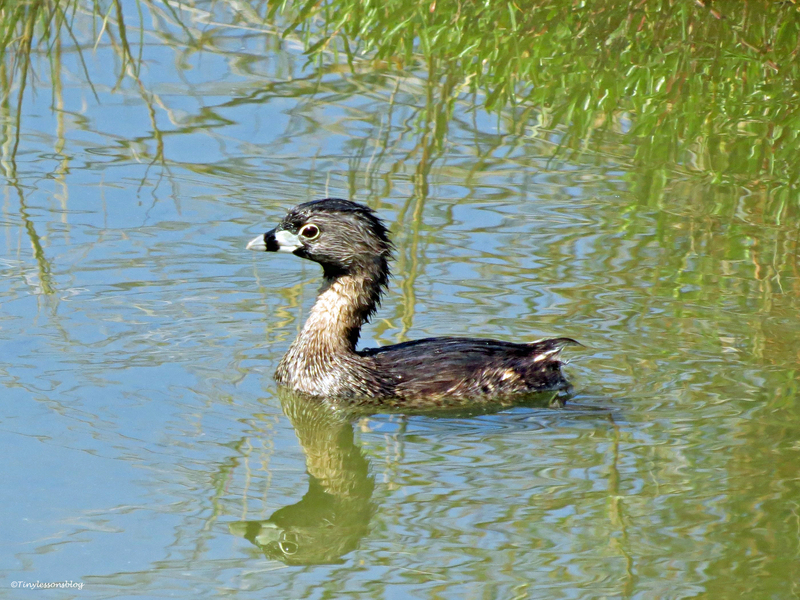 And the little Pied-billed Grebe didn’t seem to be bothered by the crowds. 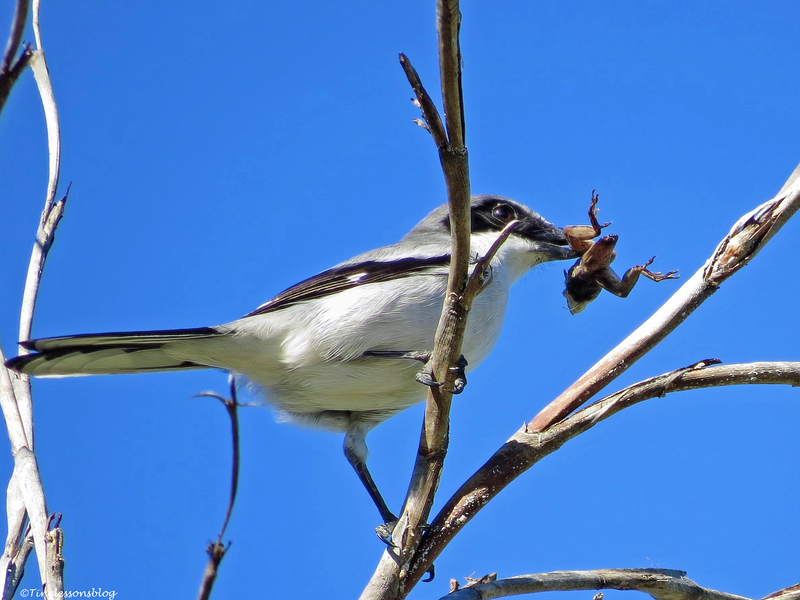 Just when I was leaving to look for Papa Stanley, I discovered the Loggerhead Shrike, the only song bird that also is a raptor, and is commonly known as the “butcher bird”. He was having a party of his own. Struggling with his pray high up in a palm tree. But that was only the beginning. I left the holiday decorated salt marsh. And was in for a mystery or two of my own. I walked over to Papa Stanley’s favorite perch. He was not there. 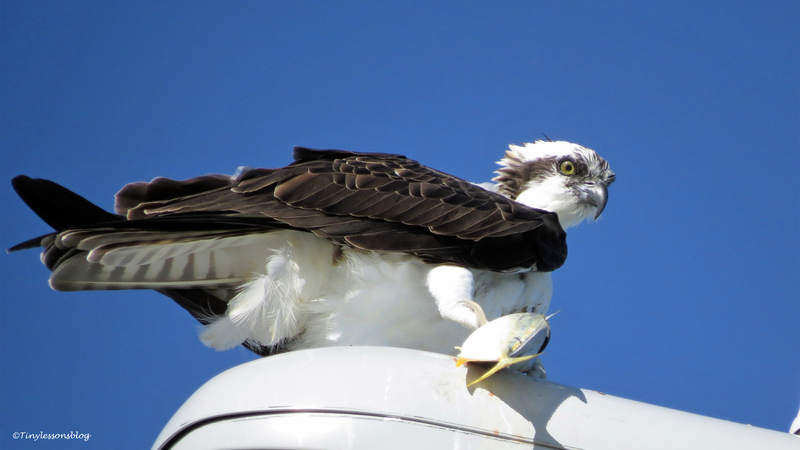 But I saw two Osprey’s perched on lamp-posts on the bridge leading to the next barrier island. I decided I needed extra exercise and started walking onto the bridge. 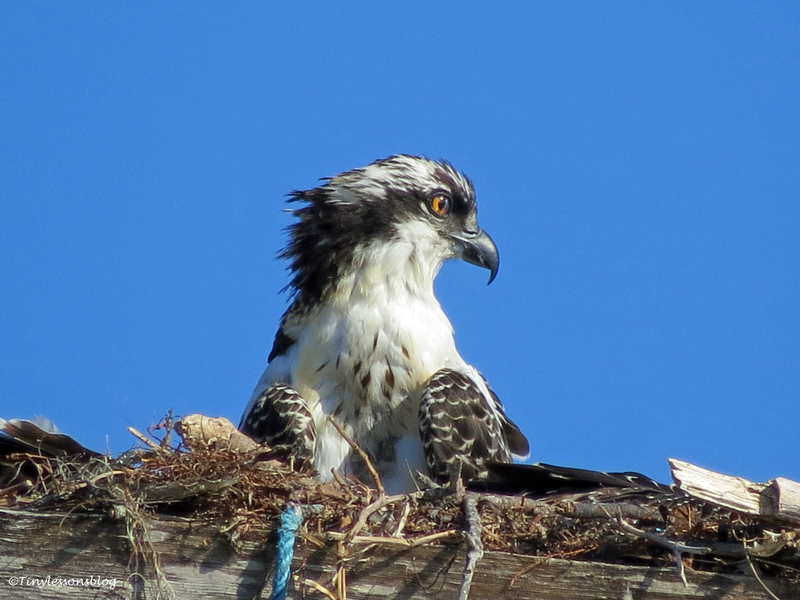 The first Osprey was a young female. She also had a fish. To see her ID, which is the “necklace” on her breast, I had to shoot almost against the sun. Seeing the almost diamond-shaped markings on her breast, I remembered the only chick Sandy and Stanley had two years ago. I used to call her Diamond, just because of the shape of her markings. Could it be that she had returned to the place of her birth? This beautiful lady wouldn’t tell, but it’s a distinct possibility. 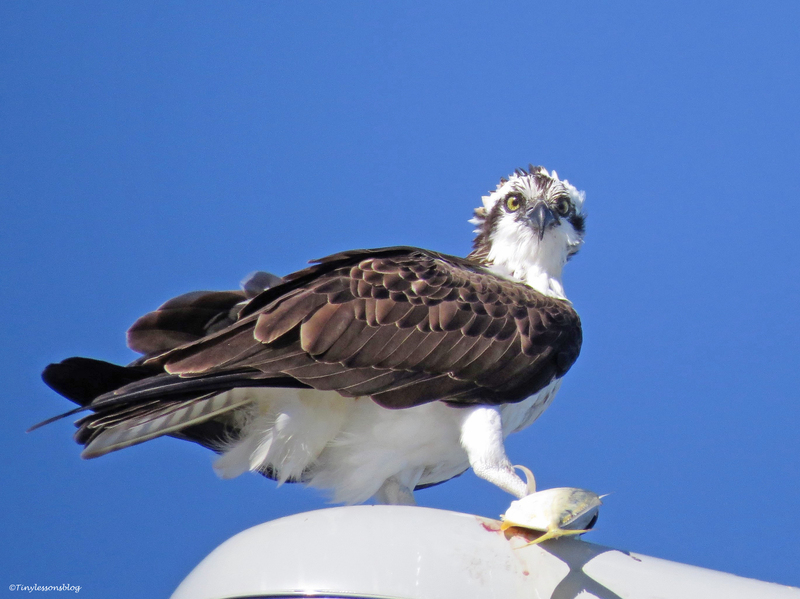 Now, the next Osprey, almost at the top of the long bridge, must be Stanley, right? Wrong. It was a beautiful, young female. 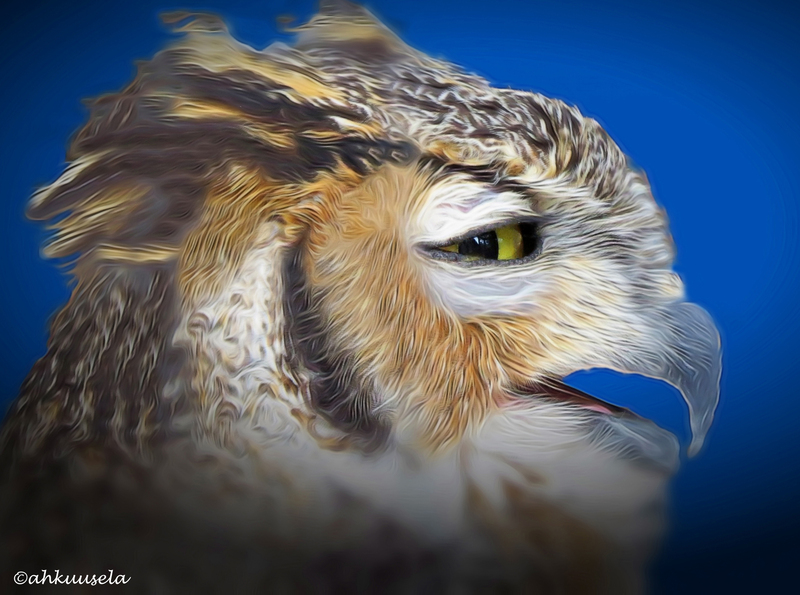 Her eyes were not yet pale yellow, and there were a few white spots at the edge of her wing feathers. Who was she? I asked kindly, but she wouldn’t show me her ID. Just because her position was such that taking a picture of her breast, standing between the railings on the narrow walkway on the bridge, would’ve been right against the gassing sun. I couldn’t see anything through the viewfinder. But she looked at me like she knew me. Could it be Aspire, the middle chick from the last nesting season? I thought her face reminded me of Aspire’s. A little on the round side. Here are a couple of pictures of Aspire from April and May this year. What do you think? I can not be sure of the identities of these young ladies, but it’s possible that they are Sandy’s and Stanley’s two daughters who came home for the Holidays. Pondering this mystery, I walked down from the bridge. 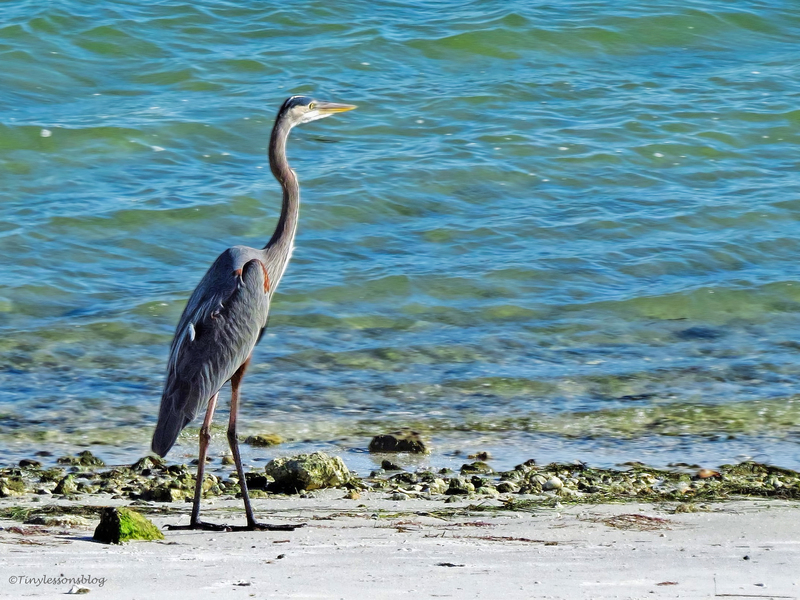 I spotted many more birds on the bay side, Brown Pelicans, Cormorants, Anhingas, gulls and terns, and the young Blue Heron. Remembering he was sent home from the migration conference earlier in the fall, he had probably decided it was safer to stay away from the gathering at the salt marsh. Passing Stanley’s resort again, I noticed he’d just returned from a fishing trip. He was eating Red Snapper. Not bad for a holiday meal. What a walk this was, almost 3 miles in two hours, over 40 birds of 19 different species. Talk about a Holiday gathering. We all wish you all Peace, Joy and Love this Holiday Season. You can find more gatherings here. Previous PostOops! I totally missed it.Next PostChristmas Morning at the Salt Marsh. But Don’t Come without a Gift. Please. Spectacular! 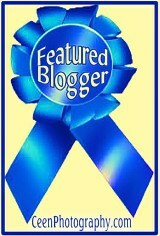 I really enjoy reading your posts!! Happy you enjoyed the post Stephanie! Kind comments, like yours, make it worthwhile to try to carve out the time for sharing the life and adventures of these wonderful feathery friends. Fabulous walk and photos! Warmest wishes to you for the coming holiday season! Thanks Hien! I wish you & yours the same! Well that’s exciting that the ‘girls’ came home for the holidays! 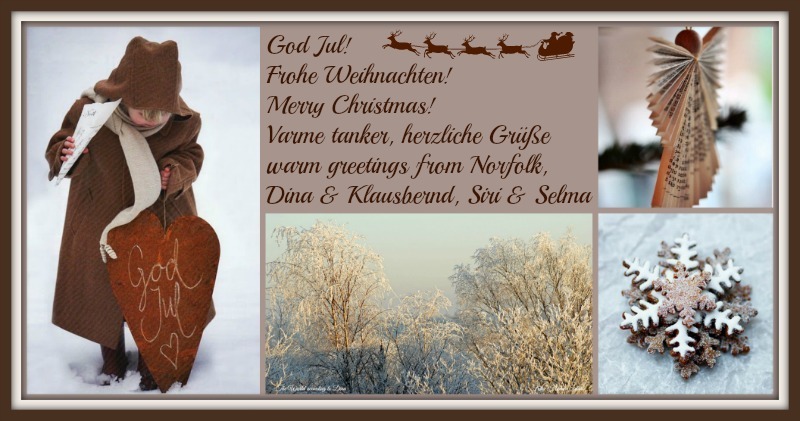 Wonderful photos, Helen – best of the season to you! I hope I’m right in thinking these would be the two girls. I would have loved to see the breast markings of the younger one, but it was impossible. I wish you a wonderful Holiday Season, Kathy! Wow, what a beautiful holiday post Tiny! I so enjoy your salt marsh community antics. Inspired by your great story telling and superb photography, I will soon be posting my Christmas Special where we had a interesting experience on the mudflats on Saturday. Have a wonderful Christmas and New year also my dear friend! 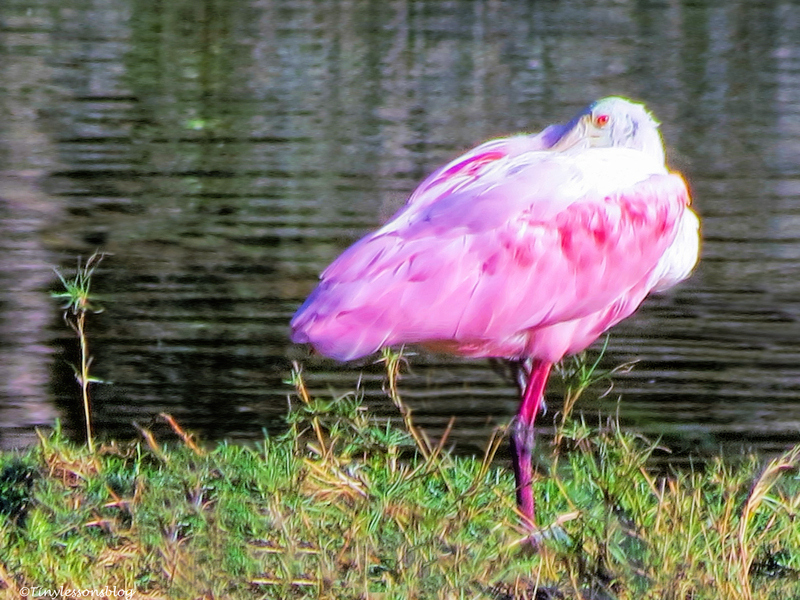 Happy you liked your visit to the Holiday gathering at the salt marsh, Ashley. It was a magnificent experience, so many birds! And two mystery Ospreys. Looking forward to your Christmas Special, my dear friend 🙂 Wishing you and yours Peace at Christmas and a blessed New Year! Thank you Donna! I also felt it was a very special walk. It seems so many birds have come home for the holidays 🙂 Have a wonderful one. Looks like a great walk, Tiny. We’ve seen lots of Christmas visitors on our lagoon . 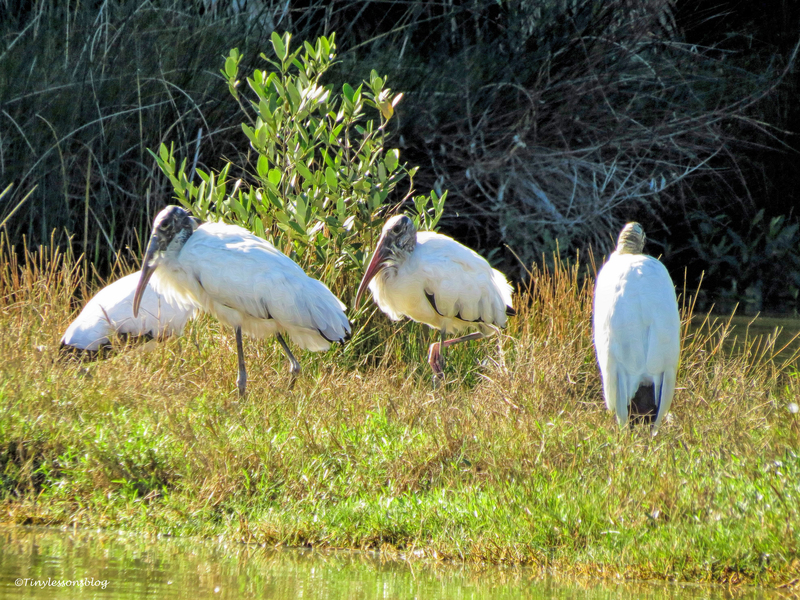 . . including white pelicans and spoonbills. Always a treat. Hope your holiday is warm and wonderful. That’s a great holiday treat, Nancy! It seems the birds liked the cooler weather we’ve had…but the holidays are expected to be really warm this year. I wish you great holidays as well! 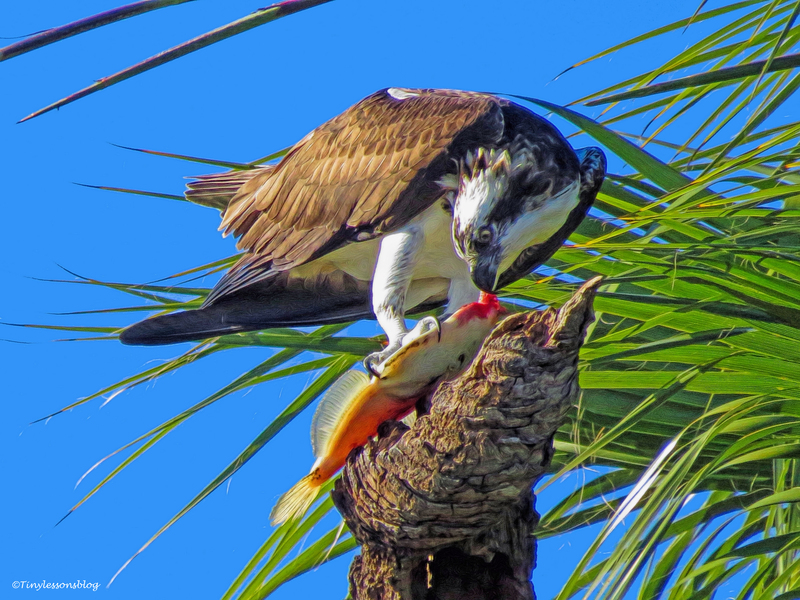 The butcher bird and its prey is amazing! I had never seen this bird with a prey before. It was quite something! Pingback: WPC: The Gathering (Sheers) | Chris Breebaart Photography / What's (in) the picture? Your photography is a delight to look at and the stories you weave round your birds a delight to read. Thank you Susan, happy you enjoyed the feathered Holiday Greetings! 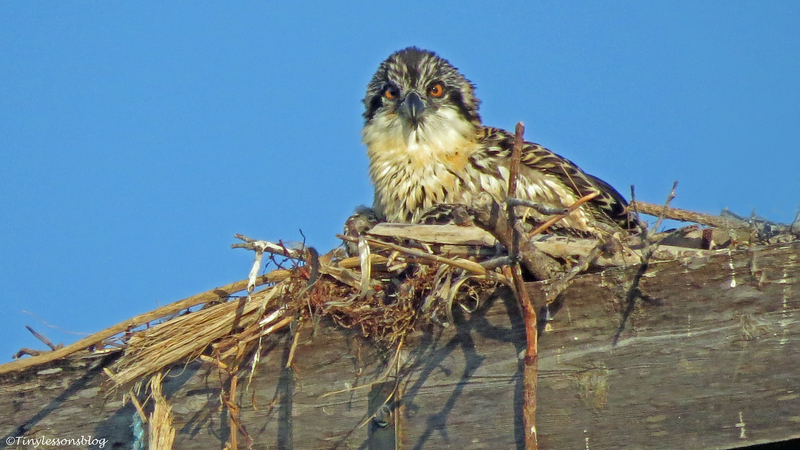 Can’t seem to get enough of your Ospreys. The shot of the Muscovy Duck is particularly striking Helen. 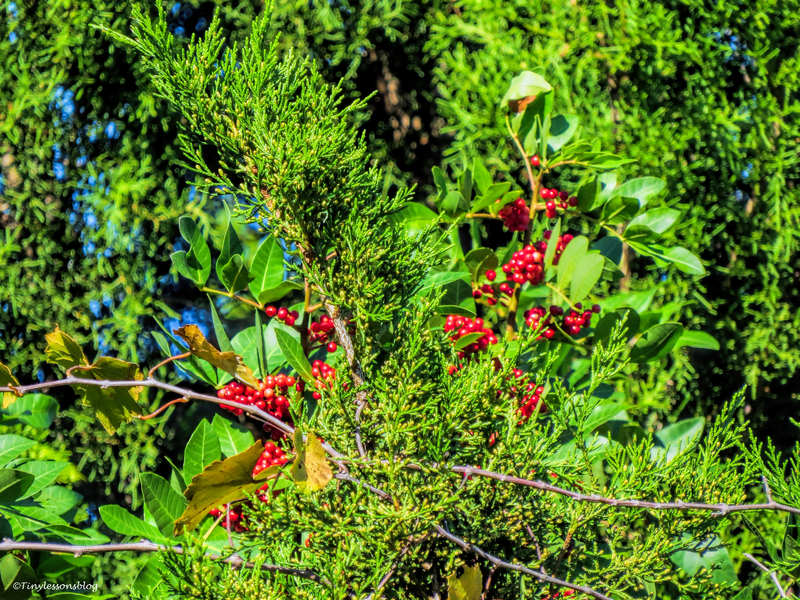 I liked that shot too – the sun shining through the branches made his colors come out so festive. Happy you liked it, Hariod. 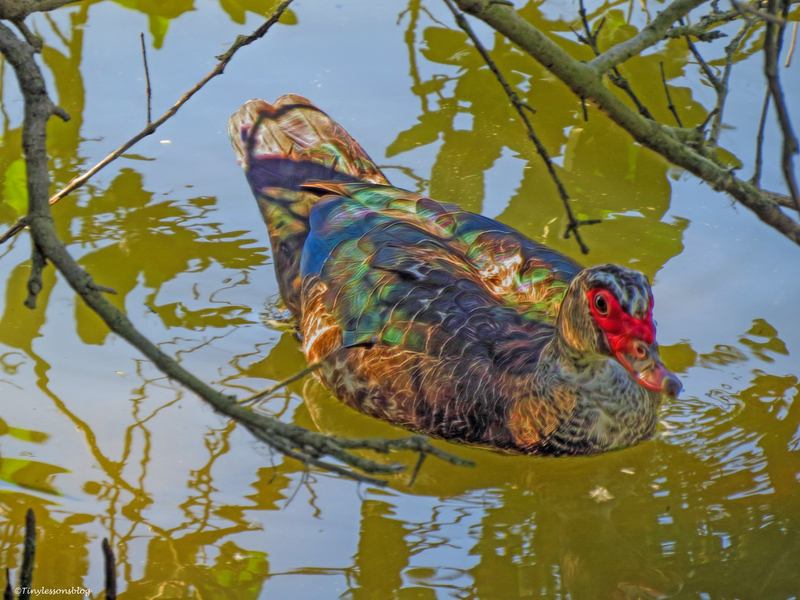 Oh my gosh…love the feasting shots…and I have never heard of a Muscovy Duck before…wow! I can’t say if that is Aspire or not. I am always impressed that you can identify the birds, not just by species but individually. 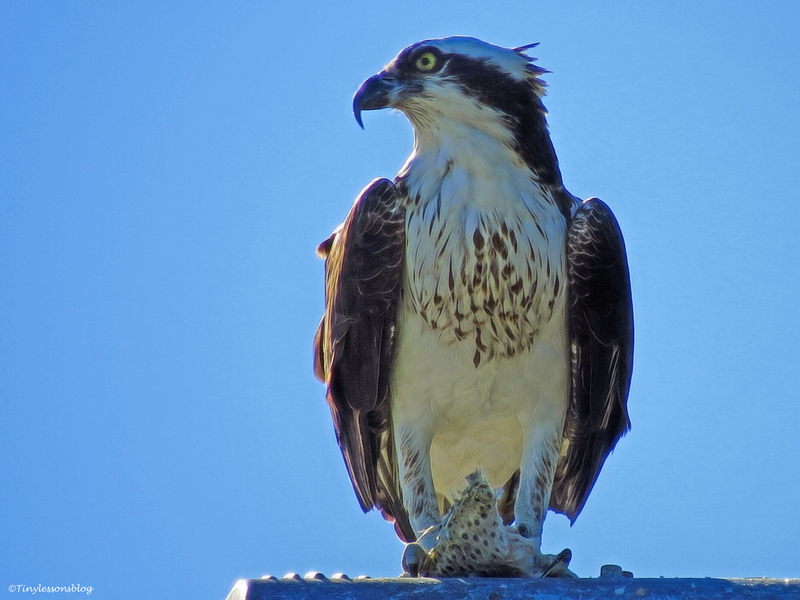 I couldn’t be sure about that young female Osprey as I just could not see the markings because of the sun. There was some resemblance to Aspire, and the parents did not sound warning calls for these two which they would do for all “newcomers”. She was very patient with me, and not at all bothered when I stayed right below/behind her with my camera. It was like she was used to seeing me. A nap party! Love it. And a surprise (for me) visit from the daughters. The photo of maybe Aspire with the fish was extraordinary. Oh, it was a complete surprise visit! I had not seen “Diamond” since July 2014. I’m almost sure it’s her. They always return to the area of their birth when they approach maturity. 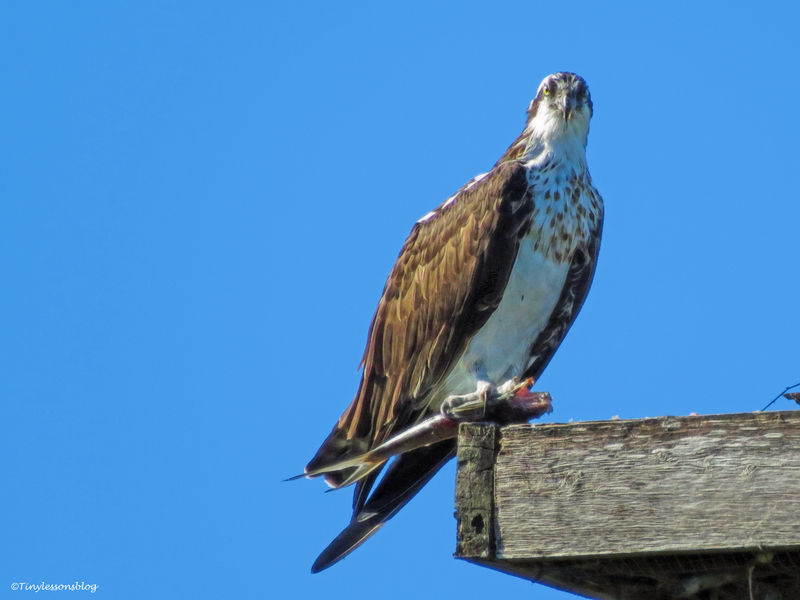 As to the younger one, I can’t be sure…but she was totally “cool” with me, like “oh, that’s you again”, and not like Osprey’s I see the first time. I’m hoping it was Aspire. 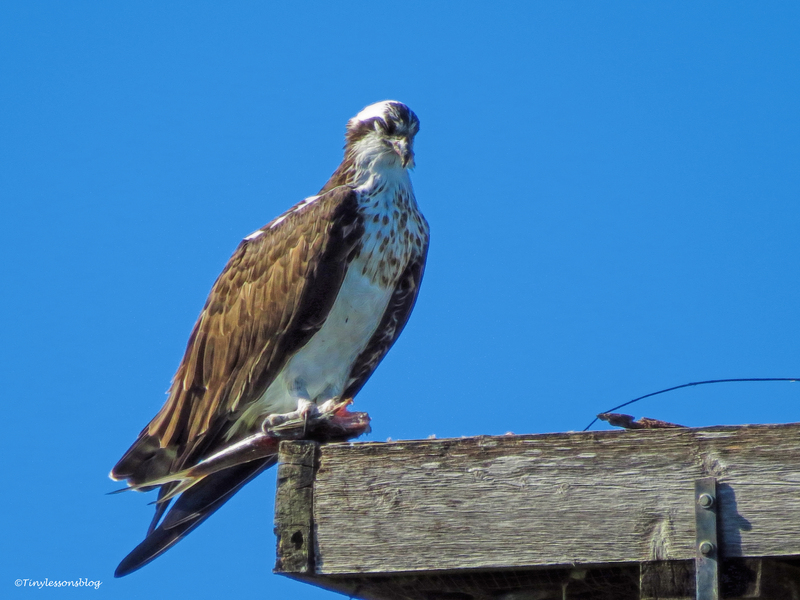 It’s so interesting to me – a novice – that there are such noticeable distinctions between the ospreys. I’m learning a ton, and about ready to step onto our beach here and pick one of the cute little Plovers and call them my family! Thanks Jenny. Glad you enjoyed the “variety” of birds. Thank you. I’m getting little better in finding the birds, that’s true. They all have their favorite hiding places and perches. It’s funny how people can just walk by and not see one single bird, or just see a few. The duck will be happy to be your pick of the day. I wouldn’t think that there are many birds that you are missing as you walk by. 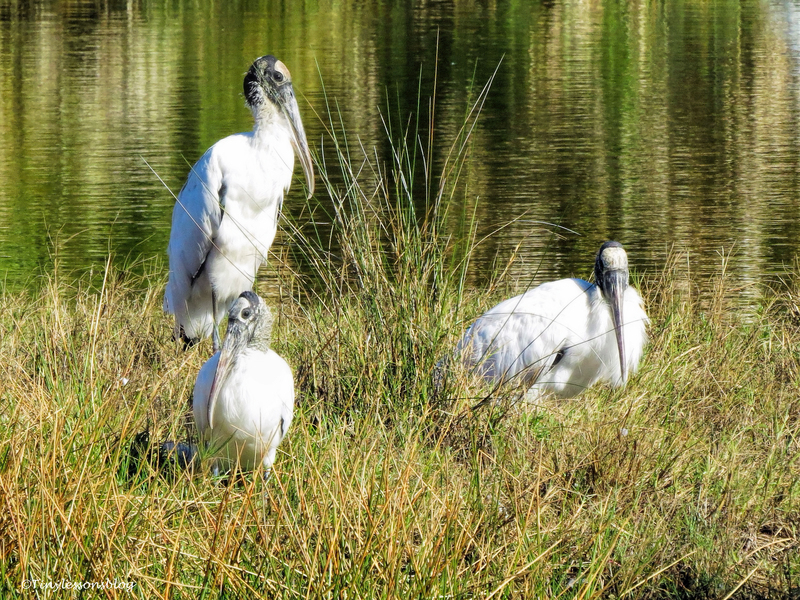 Happy New Year to all four of you from Tiny and the salt marsh birds! Love seeing all your friends out there in the sunshine! Thanks for sharing their stories. 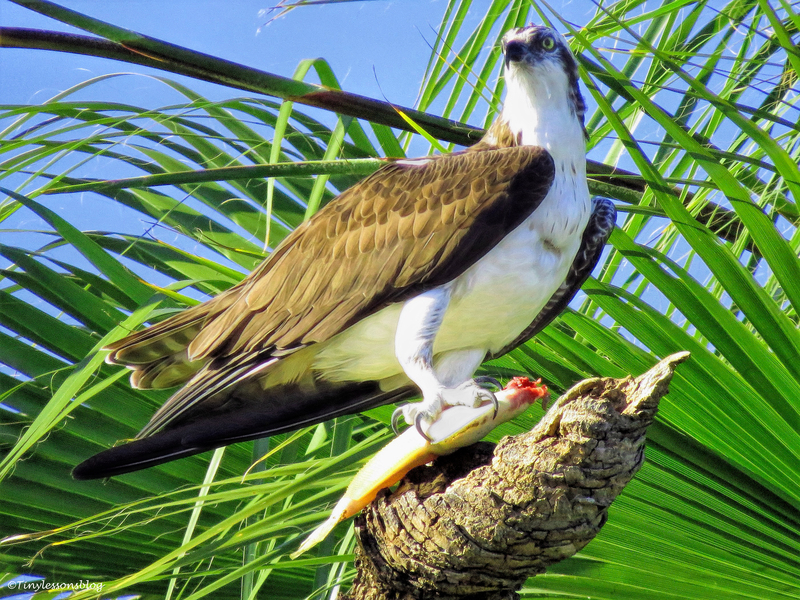 The Osprey with the diamond pattern is an especially striking shot!! Happy you liked their gathering! That shot was a difficult one, as I couldn’t move much being on the bridge between railings. I took it more for ID purposes, and was surprised how nice it turned out 🙂 The young Ospreys return to their area of birth when they approach maturity, so I still think it might be “Diamond” from 2 years ago. Are any of your local birds banded? I have only seen one or two banded in these last couple of years. Awesome shots & commentary. You are very blessed! Thank you Stacey Ann. 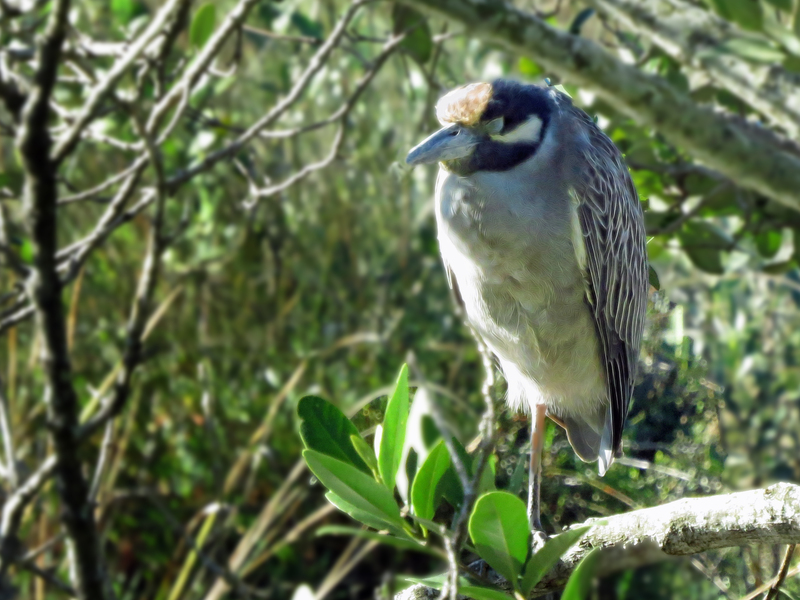 I am so grateful and feel blessed to be so close to wildlife here on our barrier island. And it is wonderful to be able to share some of it here every now and then. Oh, how exciting that family members have probably returned.